In contrast, they are the actions I don’t take. And NextEra Energy stock falls into that category. Let me explain. Way back in 2009 I bought 100 shares of Florida Power & Light, also known as FPL Group, for less than $50 a share. You might remember 2009? Stocks had been crushed by a real estate bust and banking crisis leading to the deepest, darkest recession in most of our lifetimes. It was pretty ugly and at times it seemed the world as we knew it was coming to an end. Before I move on, just a quick side note. In March 2010, FPL Group changed its name to NextEra Energy, Inc. The company did this to modernize their company image. And NextEra Energy stock is our focus today. Since NextEra Energy stock is a mouthful, I will refer to the company by its New York Stock Exchange symbol, NEE. I will use “NEE stock” for short. So now let me continue with my financial tale of woe regarding NEE stock. Normally, I establish a dividend stock position with multiple purchases over a period of weeks or months. Why? I never know where the stock is heading in the short term. So I like to hedge my bets with multiple smaller purchases. Jim Cramer explains this investing technique on his CNBC TV show Mad Money. But this time around, I did not make any additional purchases. However, I did reinvest the NEE dividends for 4 years after my original purchase. Automatic dividend reinvestment added another 15 shares to my holdings. But I even stopped automatic dividend reinvestment in 2013 along with many of my other holdings. I considered adding to my NEE stock position on a few occasions. But the NEE stock valuation always seemed too high and the NEE stock dividend yield always seemed too low. In hindsight, a short sighted perspective. I got very, very close to making additional purchases in late 2016 into early 2017. But we were moving and the Dividends Diversify family had a lot going on. For a short time we owned two houses. The old one we were selling and the new one we bought. Because of this, my available funds were in short supply. In addition, the market was unsettled and choppy at the time. Finally, I was feeling a little more risk averse than usual. So once again I did not purchase more NEE stock. And today, 10 years later I still have those 115 shares that cost me a little more than $5,000. The good news is the shares have nearly quadrupled in value. And I have collected many quarterly dividend payments in cash. So what is the bad news? I didn’t add on to my position in the early going like I usually do. And that leads me back to the moral of the story. Sometimes an investor’s biggest mistakes are the actions they fail to take rather than the actions they do take. To explain, all good investors should have 3 tools in their tool kit. I call them timeless investing principles. I failed on number 3 by not building my position in NEE stock over time. Let’s see the results of my failure to execute my strategy. 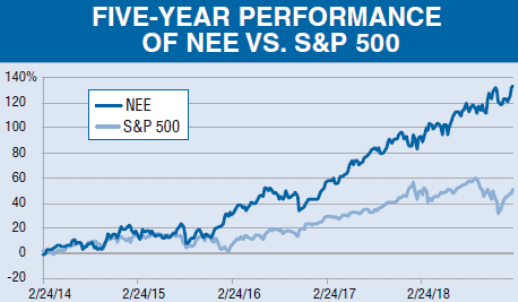 Check out the performance of NEE stock versus the S&P 500 over the past 5 years. It has been impressive to say the least. And I missed an opportunity. Okay, that’s my story. And I am sticking to it. I’m going to stop whining now. So let’s get on with a dividend deep dive of NEE stock and the NEE stock dividend to see if we should buy, sell or hold right now! I can’t change the past, but I can impact the future. NEE is one of the largest electric power and energy infrastructure companies in North America. The company is also a leader in the renewable energy industry. NEE has two primary businesses, FPL and NEER. FPL is the largest electric utility in the state of Florida and one of the largest electric utilities in the U.S. FPL’s strategic focus is centered on investing in generation, transmission and distribution facilities. They strive to deliver on their value proposition of low bills, high reliability, outstanding customer service and clean energy solutions for their more than five million customers. NEER is the world’s largest generator of renewable energy. This energy is sourced from the wind and sun. NEER’s strategic focus is centered on the development, construction and operation of long-term contracted assets throughout the U.S. and Canada. These assets include renewable generation facilities, natural gas pipelines and battery storage projects. NEE stock pays an annual forward dividend of $5.00 per share. Based on the recent stock price, the dividend payout puts the NEE stock dividend yield at 2.6%. Certainly, the company is not one of the higher yield plays in the utility sector. In contrast, dividend growth from NEE stock has been spectacular. So let’s check that out. The historical trend of dividend increases has been impressive. And for 2019, NEE announced its dividend would increase another 12.6%. The 2019 dividend increase marks the 25th consecutive year the NEE stock dividend has been increased by management. This streak makes NEE a newly crowned dividend aristocrat. 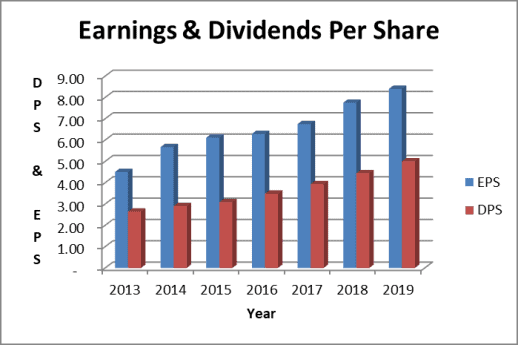 Dividend aristocrats have increased their dividends annually for at least 25 years. In the future, I am projecting 12% NEE dividend growth in both 2020 and 2021. Then 7% growth annually thereafter. We will use this forecast a little later. Note that 2017 and 2018 earnings have been normalized and reduced for comparability. They exclude certain one-time gains due to the impact of tax reform, investment gains and disposition of assets. Earnings per share have grown over the long run as the company invests in capital improvement projects. The cost of these projects plus a profit margin is then passed on to their customers. This is the essence of a regulated utility business model. About 70% of NextEra Energy’s business is regulated. 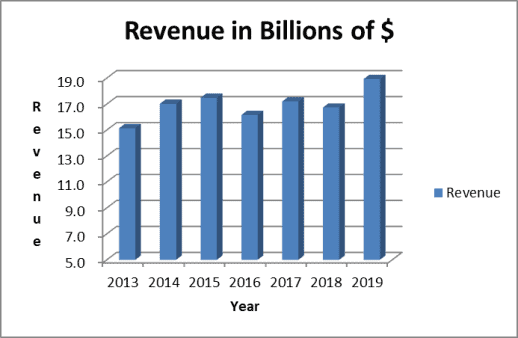 This provides for a great deal of predictability for future revenues, earnings and cash flow. The dividend payout ratio is a very comfortable 60%. It is actually on the low side for a regulated utility. A higher payout ratio is typical for a regulated utility. The NEE stock dividend compares well here in terms of safety versus other regulated utilities. For example, Dominion’s dividend payout ratio exceeds 90%. A lower payout ratio is better for the investor. It allows the company to maintain the dividend during difficult times. And in NEE’s case, increase it at a faster rate even when earnings growth slows. Moody’s and S&P rate NEE long term bonds with solid investment grade evaluations. And company management boasts continued improvement in credit quality in their 2018 earnings presentation. Finally the company’s debt to equity ratio stands at a very comfortable 1.1 times. All in all, NEE’s balance sheet looks pretty solid. Let’s look at NEE stock value from several different angles. 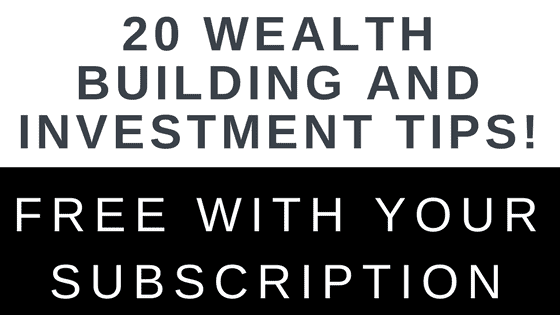 Using these assumptions, the 2 stage dividend discount model calculates fair value at $195 per share. The investment research firm, Morningstar, estimates the fair value of NEE stock at $175 per share. The Utility Forecaster investment newsletter that follows the utility industry very closely has a target buy price at less than $185 per share. Finally, the NEE stock price to projected 2019 earnings sits at about 22 times. This is quite expensive. But high quality dividend growth stocks like NEE usually trade at a premium. To compare, the S&P 500 forward price to earnings ratio for 2019 stands at about 16 times. NEE stock is one of my smaller holdings. As mentioned earlier, I wish I had bought more over the years. 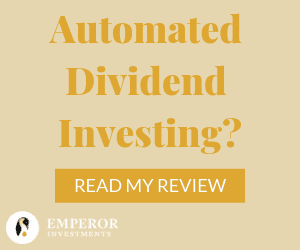 It is truly a high quality dividend growth stock suitable for many investors’ portfolios. As it usually does, the NEE stock price seems a little expensive to me right now. But it is still within a reasonable range for add on purchases. I would be more interested buying at $180 per share or less. And I’d back up the truck and load up at $170 per share or less. In any case, I am happy to hold the 115 shares I currently own for the long term. I learned something new today! I’m an FPL residential customer, but did not know that it was really NEE, which I own a little bit of. FPL is a bit controversial down here in Miami, especially because it owns a nuclear plant (Turkey Point) with cooling canals that may be polluting nearby water. Anyways, I really like your style of buying stock in small, incremental chunks. I will probably implement it the next time I get a bonus. Thanks for the analysis Tom! I learned more about the company today as a result of your analysis. NEE has been advertising aggressively and their name is starting to pop up more frequently. I love the fact that the company is a Dividend Aristocrat now and they have strong dividend growth. But their dividend yield is something to be desired for the industry and their P/E ratio is a little high. Their payout ratio is lower as well for a “utility” company (I would normally love 60% in any other circumstance). I’ll keep them on my radar now that I know more about them. Thanks again for taking the time to write about this company today. Hi Tom, that’s a very interesting story. Sometimes staying put is a not bad option, definitely may not be the best option. Taking actions may be risky, scary, and could be very rewarding, too. Wow, the NEE stock has really performed well in the last 10 years. Thanks a lot for sharing. This stock has fared well and this is a classic example. It’s hard to stay put as like most things that are easier said than done. And what makes it hard is volatility. Lol, back up the truck and load up! Very detailed analysis, thanks for sharing Tom. I haven’t heard of NEE, thanks for the write up. I have been looking at NEE for quite some time but I never pulled the trigger. Your well written article support my own feelings about the stock. Hopefully they will come down some more so I can initiate a position in this fine company.